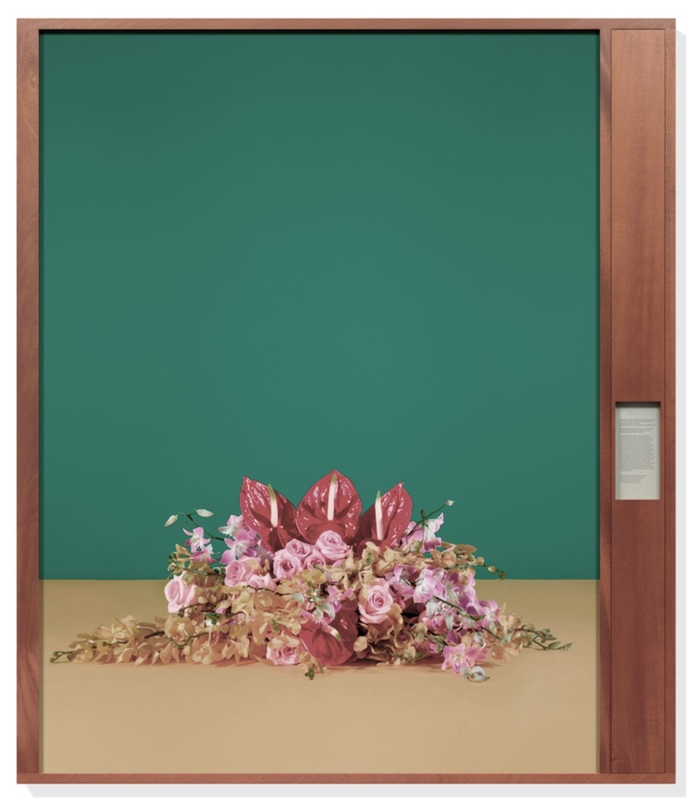 Flower arrangements cover the walls of the Tel Aviv Museum of Art in American artist Taryn Simon’s first solo exhibition in Israel, Paperwork and the Will of Capital. 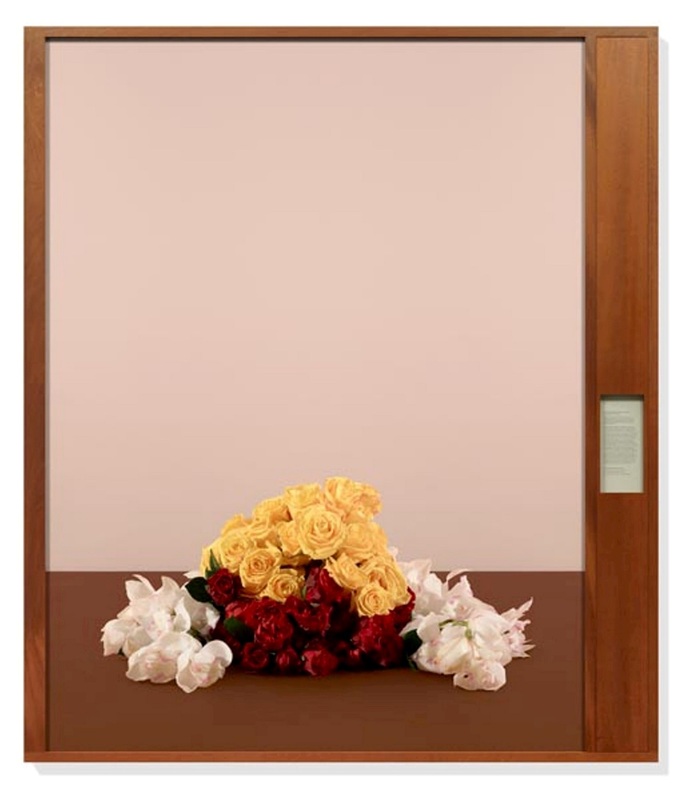 Best known for her research-based work using photography, text and graphic design, Simon was initially inspired by a photograph capturing Chamberlain, Hitler, and Mussolini between a large bouquet of flowers, acting as a silent observer. View of the installation Paperwork and the Will of Capital. The photograph was taken at the 1938 Munich Agreement, a conference which gave the Sudetenland to Germany. 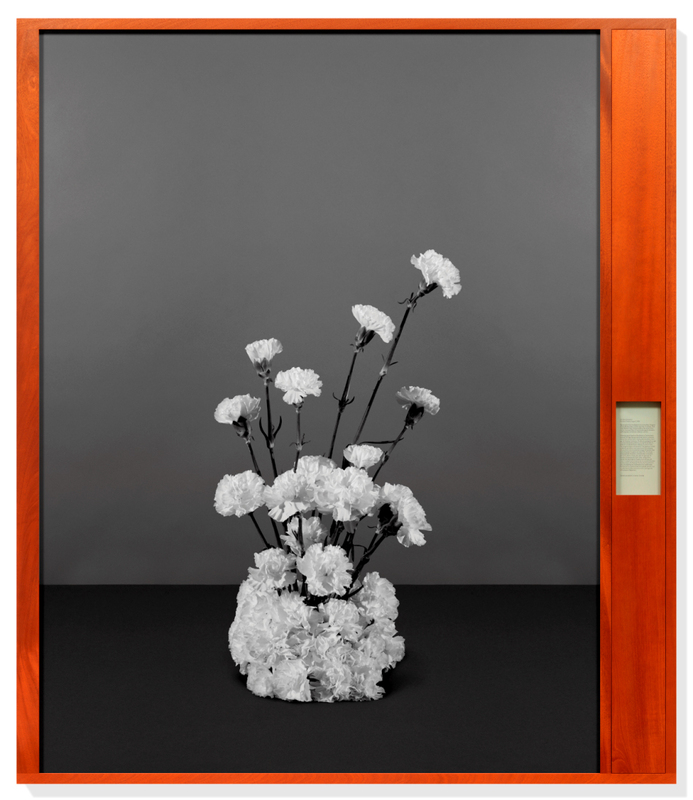 Simon investigated archival photographs of historic signings of accords, treaties and decrees and found that floral arrangements continuously appear between powerful leaders signifying the importance of the individuals and their meeting. 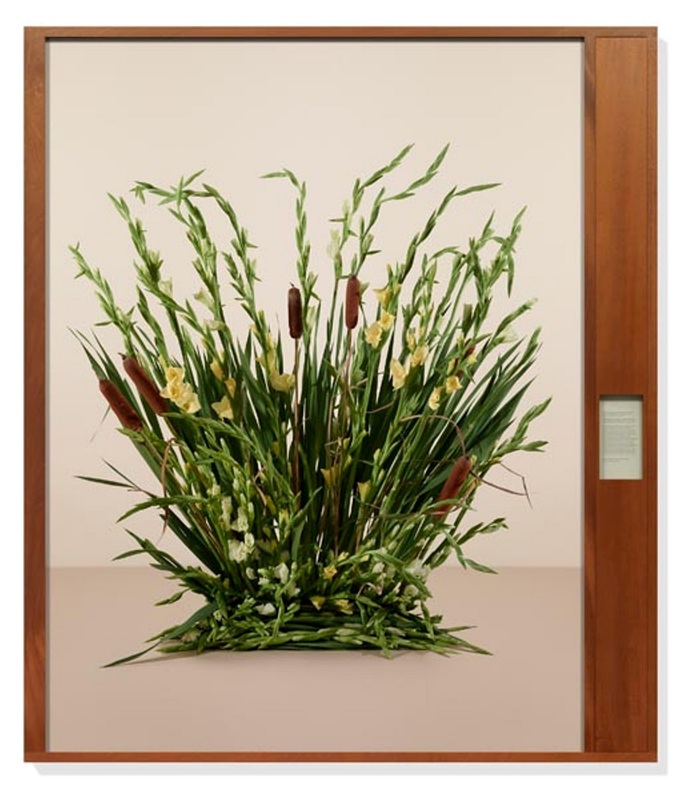 Each floral arrangement is what 17th- century Dutch painters coined as an ‘impossible bouquet’—a bouquet of flowers that bloom during different seasons and locations making the bouquet impossible to create. With a botanist, Simon reconstructed thirty-six floral arrangements from the signings of countries present at the 1944 United Nations Monetary and Financial Conference, which focused on the globalization of economies after World War II, leading to the formation of the International Monetary Fund (IMF) and the World Bank. The artist imported over 4000 flowers from Aalsmeer, Netherlands, the largest trading center for plants and flowers in the world. The flowers represent the change in the global consumer market. Each bouquet is photographed beside a prominent backdrop relating to the original colors of the background of the historical image. The photographs are framed in mahogany wood imitating boardroom furniture and include a smaller frame with a description of the accord. Sixteen large-scale photographs line the museum exhibition space surrounding four monument-like sculptures. 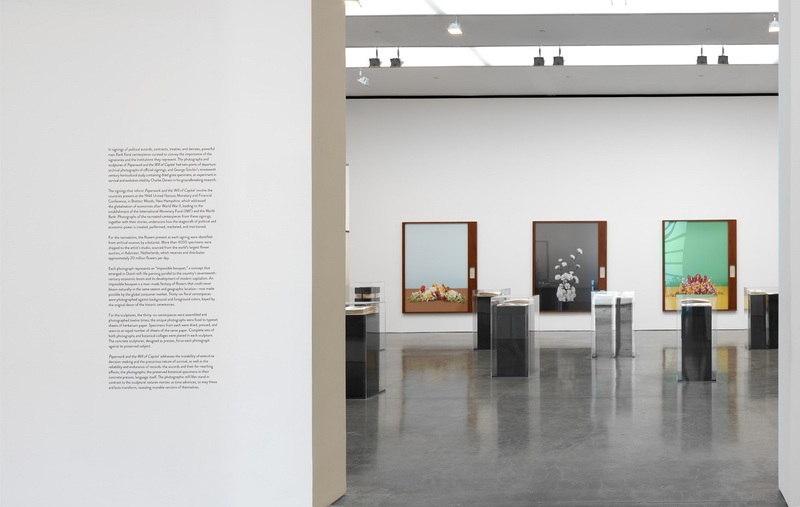 Each sculpture holds specimens of flowers selected from the bouquets pressed and sewn on archival herbarium paper placed into concrete presses with documentation and text protected by a Plexiglas column. The exhibition reflects political instability signifying many broken agreements. 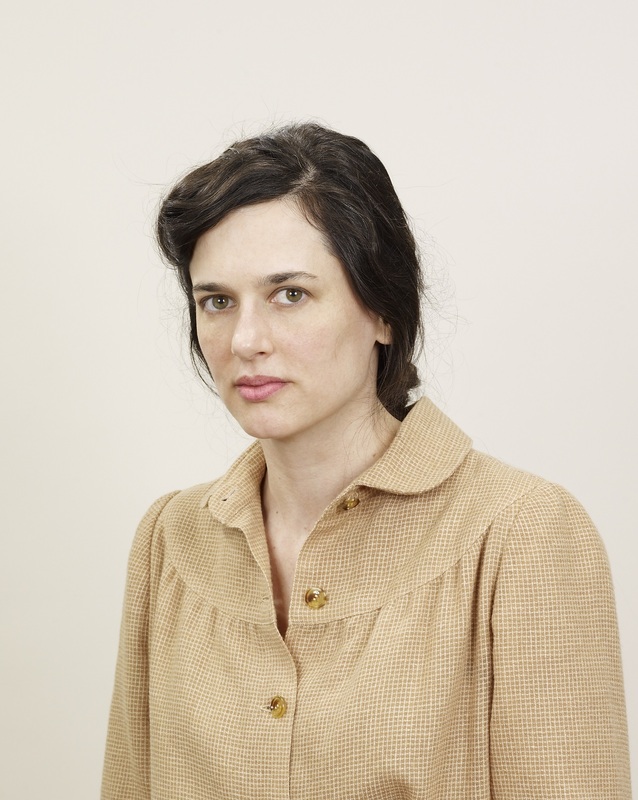 Taryn Simon exhibition questions the race of time. What will survive and defy time? Will it be the accords promise, the bouquet photographs or the preserved specimens?